Replacing a clutch on a vehicle is the most in-demand job for garages, earning them on average £402 per repair, according to Autobutler.co.uk. The online personal car servicing assistant used its 1000 plus membership to find out what are the most sought after jobs that garages are contesting for from customers requests. 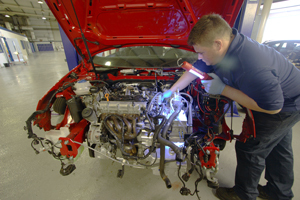 Second place went to customers in need of getting their water pump and timing belt replaced, while routine MOT jobs took third place as the most in-demand jobs that technicians are competing for on the website. Clive Thorpe, Sales Director for Autobutler.co.uk said: “A recent study published by Google found that as many as three quarters of motorists use the internet to make decisions about car maintenance. It’s many of these customers who are coming to Autobutler.co.uk to request competitive quotes online for highly profitable jobs like new clutches. The online tool, popular in Scandinavia, gives garages the opportunity to provide quotes for jobs submitted by car owners and bid to undertake that work.